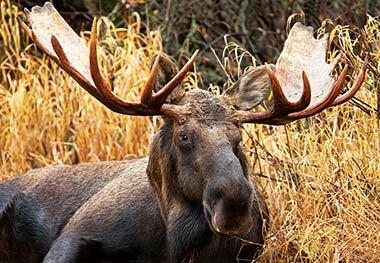 /Assessment of Evidence for Moose Declines in the Cariboo Region of B.C. Since 2000, many moose populations around North America appear to be declining, including in British Columbia. In collaboration with Wildlife Infometrics Ltd., To confirm the strength of evidence for declines in this population, and to ascertain possible causes for current trends, Cortex undertook a review of moose population trends in the Cariboo Region since 1984, with an emphasis on the period 2000-2012. Through statistical analyses of standardised survey data, habitat attribute data, and use of population models as a diagnostic tool, the study revealed that the declines appear real in some parts of the Cariboo. Assigning causes is more difficult, but appear to be related to increased unregulated mortality on cows and calves over the last 10 years and also appears to be associated with habitat and vulnerability changes associated with the Mountain Pine Beetle outbreak. The study suggests that a multi-faceted response, including policy changes combined with more intensive studies on mortality patterns be undertaken.